Williston’s two most prestigious senior athletic awards, the George Denman Bowl for boys and the Alumnae Bowl for girls, were awarded to five Williston seniors at the conclusion of last Friday’s athletic ceremony. The prizes are awarded to seniors whose contribution to the athletic program have been characterized by exceptional achievement, faithful participation, and loyal devotion to the best interests of the school. Michael Dereus was the Offensive MVP for Varsity Football this fall, and he set school record times in the 100-meter and 200-meter dashes for Boys Track this spring. On Friday, May 27th, Director of Athletics Mark Conroy held the annual spring athletic assembly to recognize the outstanding athletic achievements from this past season. 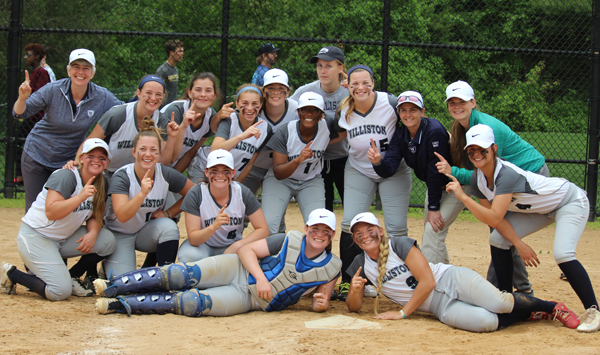 Williston’s athletic teams had a very successful spring that included setting new records, winning New England championships, and having a great deal of fun in the process. Softball won their first Western New England Class A Championship this spring. Led by coaches Amber Rodgers, Molly Ward and Allison Marsland, Varsity Softball enjoyed a terrific season finishing with a record of 10-3. After dropping their first two games, the girls got on a roll, enjoying decisive victories over Berkshire and Deerfield and a number of thrilling one run victories over Cheshire, Loomis and Stoneleigh Burnham. 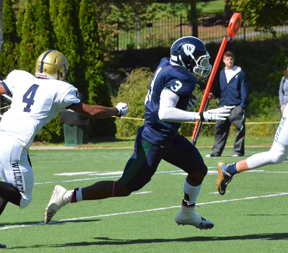 Nick Garofano ’16 capped his historic athletic career at Williston with All-American honors in lacrosse. 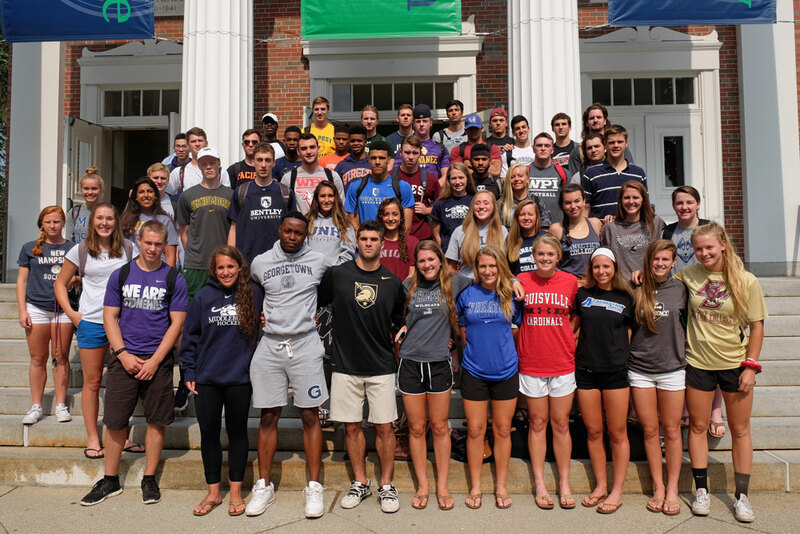 Boys Lacrosse Captain Nick Garofano ’16 was honored when the New England Secondary School Lacrosse Association selected their All-American award winners. 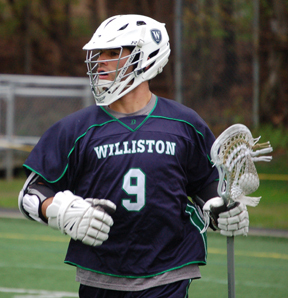 Garofano is Williston’s first boys lacrosse player to earn All-American honors. After four highly-successful seasons for the Wildcats, the Yorktown Heights, NY, native finished his career second in goals (111), second in points (199), and as the all-time leader in assists (88). Hudson is the second Wildcat to sign for Bentley this year. Hudson ’16 signs his commitment letter to attend Bentley University next fall. 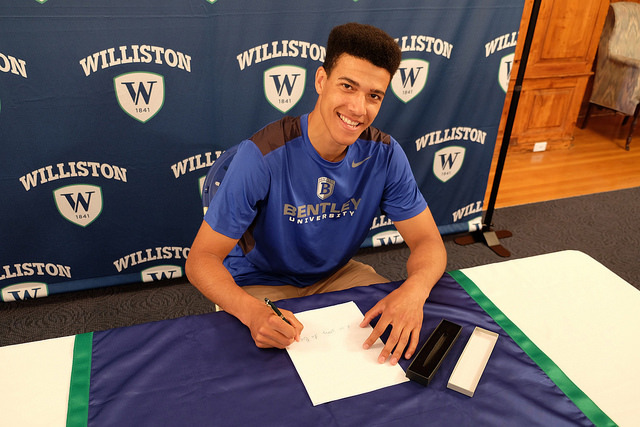 Varsity Basketball standout Chris Hudson ’16 signed a letter of intent to attend Bentley University this fall. Hudson is the second Wildcat to sign for the Falcons this year, as teammate Sam Geschickter ’16 put pen to paper for Coach Jay Lawson’s squad earlier this winter. 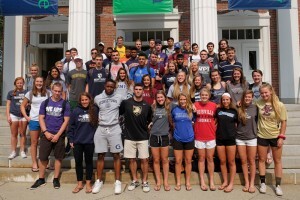 Hudson played a major part in Varsity Basketball’s success over the past two seasons, which saw the Wildcats win two consecutive New England Prep School Athletic Conference Class A Championships. The Maine native captained this year’s championship team and was named to the NEPSAC Class A All-Star Second Team. 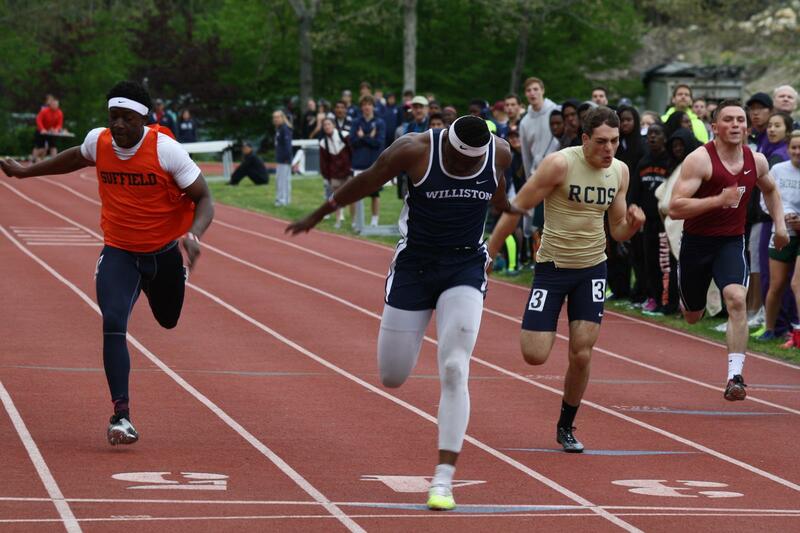 Mike Dereus ’16 crosses the finish line during his record-setting run in the 100-meter dash at the New England Championships this weekend. 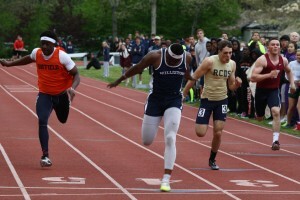 Williston senior Mike Dereus set a New England Prep School Track Association Division II record in the 100-meter dash at the New England Championships last Saturday with a time a 10.84 seconds. Dereus also won the 200-meter dash in 22.28 seconds and was named the Championship’s Most Outstanding Athlete. 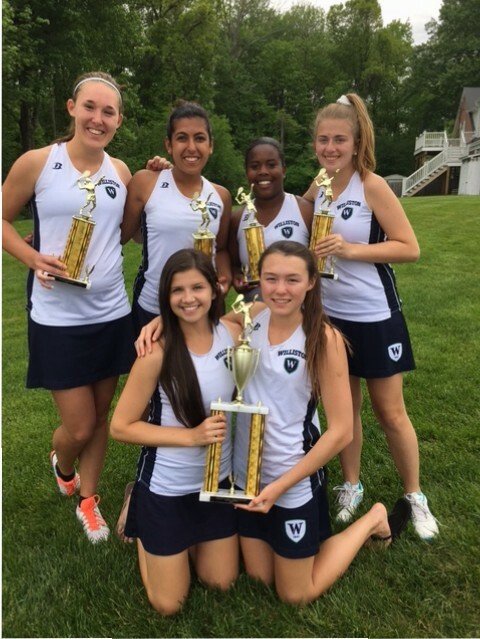 Williston’s Girls Varsity Tennis team capped off their great season by capturing First Place at the Suffield Tennis Tournament on Saturday. Williston’s number one, Julie Lord ’16, started the morning with a great focus and energy, beating all of her opponents 8-0 in the first three rounds of play. Lord was pushed to produce her best tennis of the day in the finals, but she was up for the task. She was crowned overall tournament champion, after she ended her Wildcat tennis career with a comfortable 6-1, 6-3 win over her opponent from the Gunnery. The Girls Varsity Tennis team finished the regular season with 8 wins and 3 losses. Season highlights include wins over Berkshire, Westminster, Loomis, and NMH. 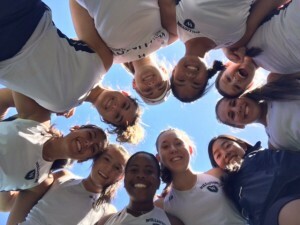 The Girls Varsity Tennis team finished its highly-successful regular season with 8 wins and 3 losses after defeating Berkshire School at home on Wednesday. Six Wildcats will be traveling to Suffield Academy this Saturday to compete in the annual Suffield Tennis Tournament. Julie Lord ’16 will be playing for the Wildcats in the number 1 Singles tournament. Lord has had an outstanding senior season, with 20 wins and just two closely-contested losses. With her powerful game and competitive spirit, Julie he has a great chance to win the entire tournament. 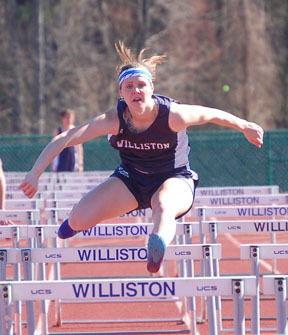 Rachel Rockwell ’16 broke a 26-year old record in the 100-meter hurdles with a time of 15.1 seconds. Rachel Rockwell ’16 broke the 100-meter hurdles record with a time of 15.1 seconds at a track meet on May 14. The previous record was set in 1990 by Catherine Saint Louis ’92, who was inducted into Williston’s Athletic Hall of Fame on Friday as a member of the 1991 Girls Cross-Country team. Dale Lash’s favorite part of his job was the day-to-day responsibilities of developing strong character in his athletes. Dale Lash attended Oil City High School in Pennsylvania where he was the captain of the basketball team. He then attended Springfield College where his team won the New England Championship his senior year. 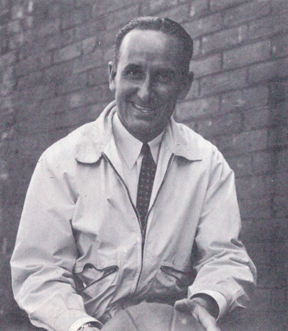 He graduated from Springfield in 1923 and received his master’s degree from New York University.